Andy and I prepared ourselves early in pregnancy for a gentle, natural birth of our first child. 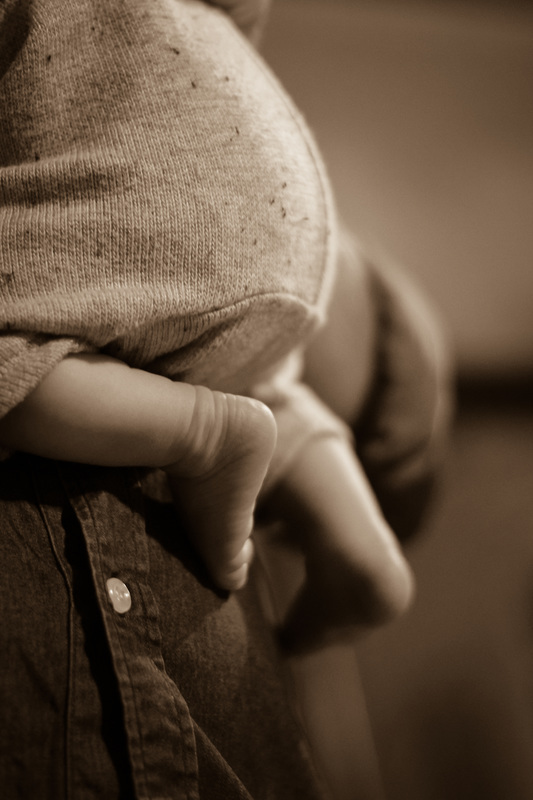 We discovered hypnobirthing and found that it 'just made sense'. On completing the course with Carrie, we felt empowered, capable and confident in how we'd birth as a loving team. Being our first pregnancy, we didn't have any idea on how my body would labour, so we based our expectations on what we read, learnt and saw in the videos during class. I believed we'd have a relaxed water birth that would gradually intensify and be managed by both of us together as I would go deeper into a hypnotic state. I didn't fear labour at all as we'd done our conditioning, we believed in the practice and principles, and I trusted my body and baby. When labour started on May 2 (labour day!) I didn't know I was in labour until I noticed my 'birth show' around 5.45pm after an afternoon of more intense period like cramps I'd been feeling for weeks. Remarkably it was only earlier that day that we both felt 'ready' to have a baby join us. He must have known! We expected to stay home for a while and start relaxation, thinking we may be at home for the night. I somehow knew though that I was well on my way, the cramps (surges) were becoming more frequent and intense. I had to go limp during the surges and focus on my breathing. Some were 1-2 minutes long, and around 9pm we thought we'd head to hospital as surges were coming every few minutes. I hadn't yet entered my relaxed state, and the adrenalin, disbelief and excitement had set in. The drive was bearable, and I was able to walk to the birth suite, only stopping for a surge to breathe through it. We both spoke to the staff and I think they didn't believe I was very far along. After they observed me and I declined internal examinations they suggested we return home. This made me second guess my intuition and that maybe I wasn't far along at all. As I was connected to the CTG monitor for a base reading, we were left alone. It wasn't long until things amped up again after they'd died off a bit since arriving at hospital. Surges were quite intense, longer and more frequent again, I noticed I was clenching my hands and tightly closing my eyes... I found it hard to get into a relaxed state, as if there was no time between surges to achieve this. Soon we were moved to a birthing room, the bathtub was unavailable to us. Andy struggled to set the room up with our carefully prepared props and tools for a calm environment as it wasn't long after each surge that I was calling for him once again. I was feeling great intensity, and my body shaking the entire time with adrenalin. I knew I wasn't in the zone. The relaxation track playing in the background was of some comfort but I did struggle to breathe calmly in my surges. They were long, hard, and close together. Time distortion though was definitely happening, and before I knew it I was throwing up and moved to the shower for additional assistance. I found the best aid was in making low guttural sounds through a surge to assist in my long slow breathing. Sitting on a birth ball was unbearable. I hadn't been in active labour long so it was hard to believe I was in transition but I knew I was from these signs we learnt in hypnobirthing. I wanted to go home, I had a cry and I could feel the urge to go to the toilet come on. I had a few surges on the toilet feeling the urge to push. My midwife called for the birth bag (much to her surprise) and helped me move to bed again whilst surging... no breaks. There was no comfortable position to be in, so I used gravity and squatted while bending myself over the side of the bed. To my surprise I didn't feel comforted by Andy's touch, which provided great relief and bonding during pregnancy, but his prompts helped. I didn't feel alone, or scared, but I did go within myself more than I thought I would. My eyes remained closed for most of labour and delivery. 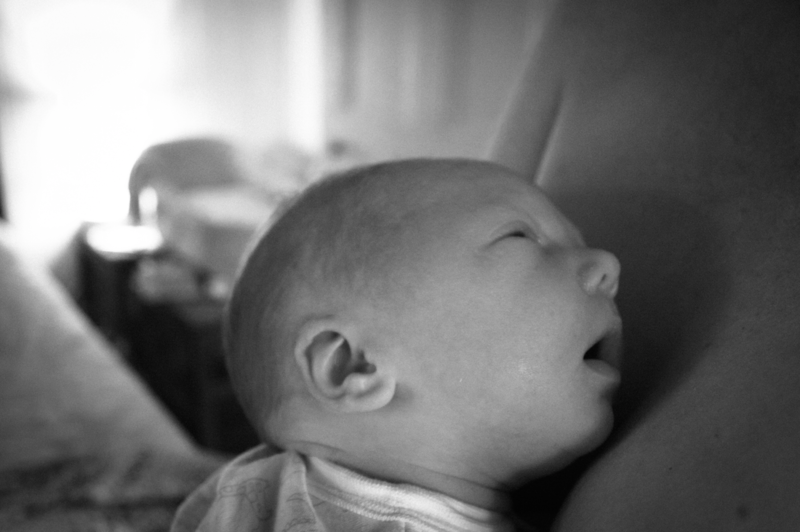 With each surge I breathed to our baby, made noise and was bearing down and I could feel him moving down the birth canal - this was amazing and a relief. The end was in sight. I could hear the midwife and Andy talking about my crowning and remember thinking the surges were far worse than birthing itself. All of a sudden after about 3 hours of active labour, 10 hours after my first signs of labour, and with a surge bearing down I went from crowning to baby delivered (at 3.16 am). Our little man came hard and fast, and in one go, resulting in a tear but he was healthy, alert and hardly made a sound. Although birthing didn't go to plan (water birth) and wasn't as relaxed and well-paced as I imagined, I'm so proud of achieving a natural, drug free birth with the assistance of my caring husband. I didn't once think to ask for drugs, and I didn't doubt my ability to birth. Most importantly we received a delightful, calm 'hypno bub' who actively searched for our gaze, fed well and bonded with both of us through skin to skin. The initial aftermath was overwhelming for me... I had a haemorrhage bleed after delivery, had to have an assisted placenta delivery which wasn't comfortable, and was stitched up (second degree tear). This with the exhaustion of labour, and the experience of the unknown, was different to what I had imagined for right after delivery, but we still achieved family bonding during this time. It took me a few weeks to recover and accept some of the facts of my birthing, but with Andy's support and praise in my efforts (and achievement) I gradually worked through those emotions. Now that I know how my body labours (fast) I look forward to working towards a calmer birth that's a gentler delivery on my body and as a result less interrupted bonding time with our next baby. Practice makes perfect, hey?! 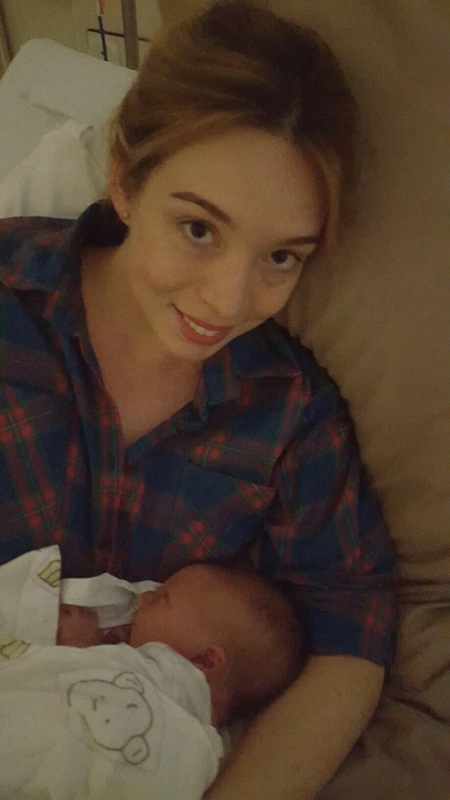 We are so thankful for Nambour accommodating our requests as best they could and for our wonderful midwife on duty. Last but not least, thanks Carrie for all your support, teachings and care. Our boy is peaceful, thanks to a connected and calm pregnancy and a natural birth. ​I didn't feel alone, or scared, but I did go within myself more than I thought I would. 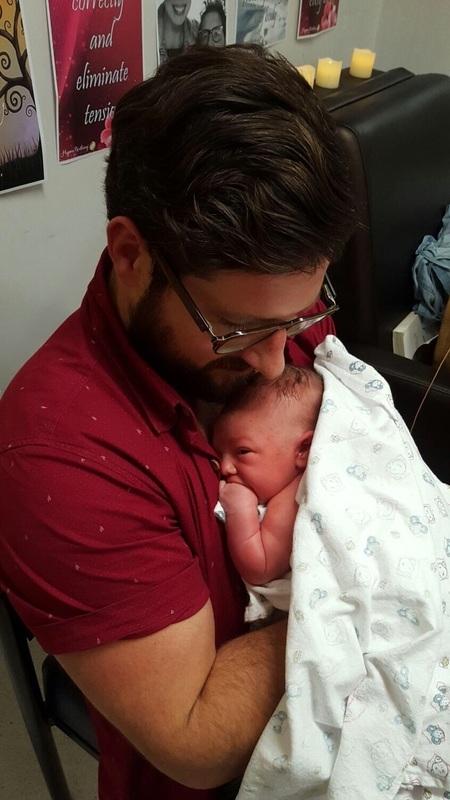 With each surge I breathed to our baby, made noise and was bearing down and I could feel him moving down the birth canal - this was amazing and a relief. I hadn't been in active labour long so it was hard to believe I was in transition but I knew I was from these signs we learnt in hypnobirthing. Although birthing didn't go to plan (water birth) and wasn't as relaxed and well-paced as I imagined, I'm so proud of achieving a natural, drug free birth with the assistance of my caring husband.